The Delhi High Court ruled that a person on deputation cannot seek to claim any vested right to the post deputed, or get absorbed to the deputed department once the period of deputation, from his parent department is over. The High Court declared that the Election Commission of India is empowered to issue Symbols Order in exercise of power of superintendence, direction and control of elections and has not issued the Symbols Order as a delegate of any other authority. The Court on Wednesday refused to cancel the interim bail granted to JNU Students’ Union President Kanhaiya Kumar for the time being. Justice Suresh Kait adjourned the hearing till April 28, as the Delhi Police sought to buy time, saying that the issue was being investigated. The High Court on Friday refused to order payment of compensation to a woman who had alleged negligence on the part of Municipal Corporation of Delhi, for injuries that she suffered after allegedly being attacked by a bull. The High Court, dismissing the appeal filed by the wife and upholding the view adopted by the family court, said that wife taunting and assaulting husband for not being able to satisfy sexual desire are grave and weighty matrimonial offences/misconducts. A Division bench of the court gave the Union of India and other respondents eight weeks to consider the legal notice dated 23 July 2015 issued to them by the petitioner, Society Standing for all Youth Mass Awareness (SSAYMA), challenging the reappointment of the whole-time member of Securities and Exchange Board of India, (SEBI), Prashant Saran. The petitioner, an NGO, had filed the petition in 2012, alleging that his fresh application for the term was with an invalid vigilance clearance. 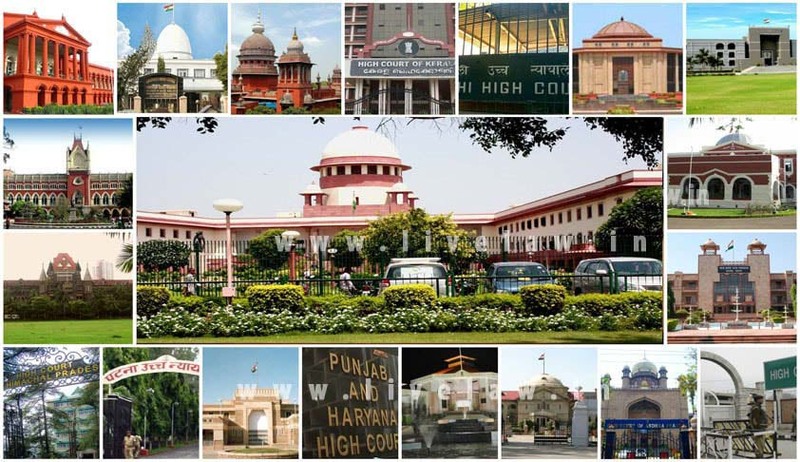 The High court Division Bench disposing the appeals filed by Indian National Congress and Janatha party against Revenue observed that proper auditing of the accounts of the political parties is both imperative and critical to the conduct of free and fair elections. The High Court of Kerala ruled that mere failure or omission to lower National Flag at or before sunset does not in any manner amount to dishonour of the National Flag. The Kerala High Court held that, the exercise of statutory functions which are quasi-judicial in character, cannot be kept in limbo or fettered on the premise that a model code of conduct has come into operation. Madurai Bench of the High court on Thursday reportedly recommended that contempt proceedings or disciplinary action be initiated against the Judicial Magistrate of Melur K.V. MahendraBoopathy for “deliberately disobeying” its order in the illegal mining cases filed against some quarry barons in Madurai. While dismissing a petition filed by National Congress Party leader, Chiranjib Biswal, the Orissa High Court remarked that Politics without principle and politicians without character are the most damaging elements of the social order. Justice S.K Sahoo dismissed the petition under Section 482 CrPC preferred by the NCP leader, to quash the complaint lodged against him by his rival BJD leader.